My baby just turned 6 months old and summer is here. That means I have to start thinking about putting on a swim suit. And the reality is that I will likely wear a sundress to wade at the ocean. I’m not yet where I’d like to be with my body and I’m trying to stay positive about it while I focus on being healthy overall and not just shed the pounds. Two years ago I started running. The 5K and C25K worked for me. I found I actually enjoyed running and doing small races. I even ran a 10K when I was 3 months along with my 3rd pregnancy. And here I am still doing some running when I can, but my work out schedule has changed. We joined the Y and it’s been working out great for us! 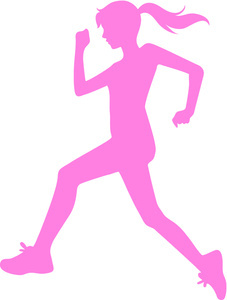 I am able to feel confident in leaving the kids down the hall while I run on the treadmill or take a class. I even tried a spin class a few times. I miss running outside, but am able to do the occasional 5K in the area. Coming up I am running the McGuiggans 5K in Whitman. 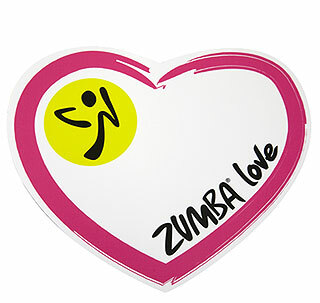 If you have not yet tried a Zumba class, do it! I promise you that you will have fun. I have a dance background and miss it dearly. So this workout does double duty for me. I get a great workout while enjoying something I love to do. There are people of all ages and abilities having fun. And I assure you that the Zumba craze has not ended. Saturday mornings there are more than 100 people in the auditorium hooting and hollering. We run around the room, roll our midsections in endless circles, and burn serious calories. And it’s extra fun to do with friends. Several of my girlfriends are also hooked. But I promise you we won’t be wearing skin tight neon pants anytime soon. On average I burn about 550 calories in an hour Zumba class. When I run, I burn about 100 calories a mile and in the few spin classes I have tried I burn about 250 calories in a half hour ride. I love seeing these stats and it’s why I wear a heart rate monitor. At the end of the day, I am so grateful for the hour I get to do something for me. The kids enjoy being in the child watch and usually enjoy talking about their time there and asking about what I was doing. While I still have a ways to go to being truly comfortable with my body, I am seeing changes and I really am feeling great! And part of me keeps considering getting certified to teach Zumba. Maybe one day I’ll do it and then you can all take my class! Can I sign up for your class now? I miss Zumba! Can I sign u for your class now? I miss Zumba! You definitely should get certified to teach. You would be AWESOME!!!! You’re really good. It’s nice to hear that you still find time to take care of yourself besides being a mom. And do consider getting certified – you will be awesome. By the way, what does it take to be certified in zumba?